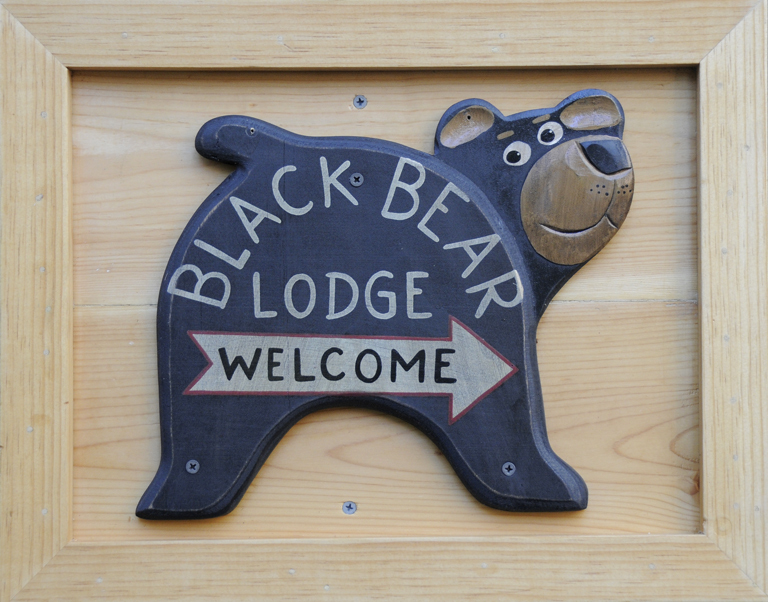 Introducing Tahoe’s newest all-season vacation rental: Black Bear Lodge « Welcome to Tahoe's Black Bear Lodge! Black Bear Lodge’s private back deck opens to a large aspen studded meadow great for snowshoeing, tossing a frisbee, or taking a short walk to Trout Creek. 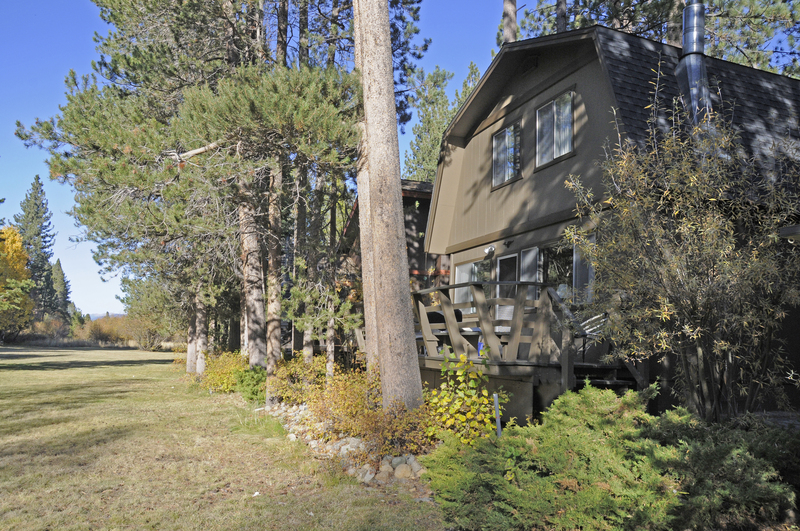 Located in the quiet community of chalets and pine at Sky Meadows in South Lake Tahoe, BBL is your perfect getaway for families. Just minutes away are the Heavenly Valley ski resort, Lake Tahoe Keyes beaches and Emerald Bay. Nearby bike paths and hiking trails can make your stay car-free. Casino nightlife and grocery shopping are a ten-minute drive. This all-season two-story cabin has two bedrooms, two baths, and sleeps six. A fully equipped kitchen opens to a large dining-living room with gas fireplace which boosts the cabins central heating. Cozy entertainment indoors includes high-speed internet, 30-inch cable TV, dvd, a library of books, and game shelf. This entry was posted in Uncategorized and tagged Black Bear Lodge photos, Lake Tahoe accommodations, Lake Tahoe honeymoon, Lake Tahoe skiing, Lake Tahoe South Shore, Lake Tahoe vacation.